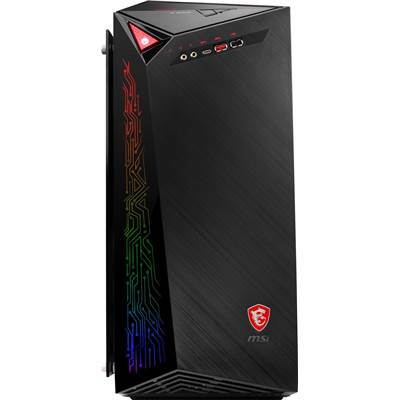 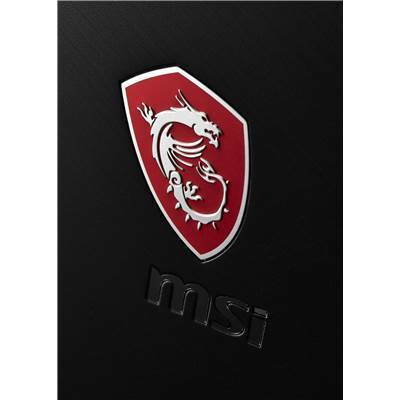 MSI Infinite X 8RG-039US, Intel Core i7-8700 (3.2GHz - 4.6GHz) Processor, 16GB (2x 8GB) DDR4 2400MHz Memory, 256GB PCIe NVMe SSD + 2TB 7200RPM (3.5") HDD, NVIDIA GeForce GTX 1070Ti (8GB) GDDR5 Graphics Card, Microsoft Windows 10 Home, Gigabit LAN, 802.11 AC Wireless LAN, Bluetooth 4.2, VR Link, DisplayPorts, HDMI, 2x USB 3.1 Type C, 4x USB 3.1 Type A, 3x USB 2.0, Mystic Light RGB LED, Gaming KB Mouse included. 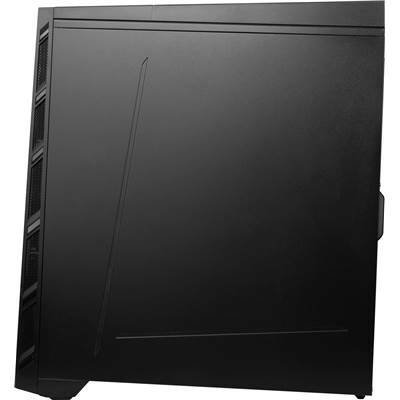 Liquid Cooling Thermal Kit & DVD Super Multi Writer NOT included. 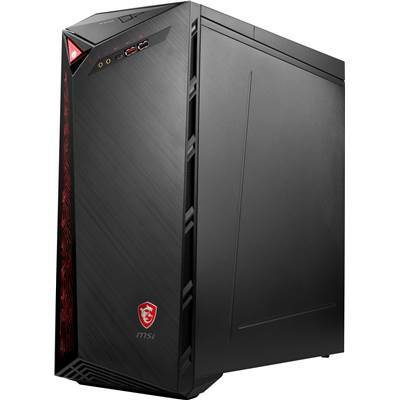 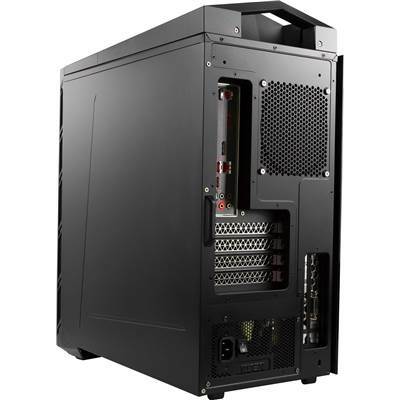 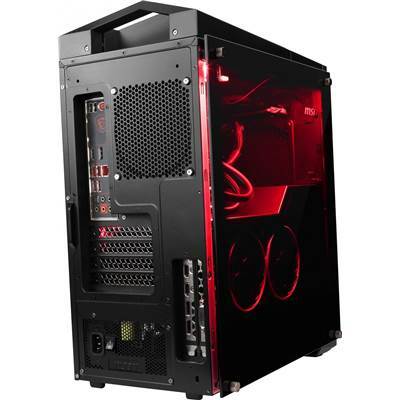 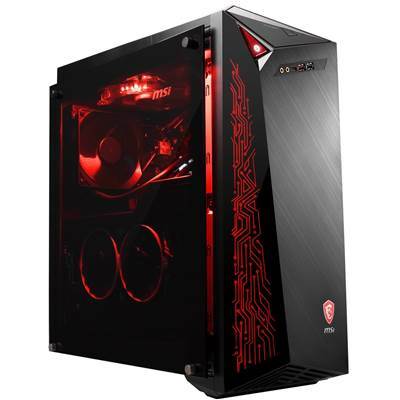 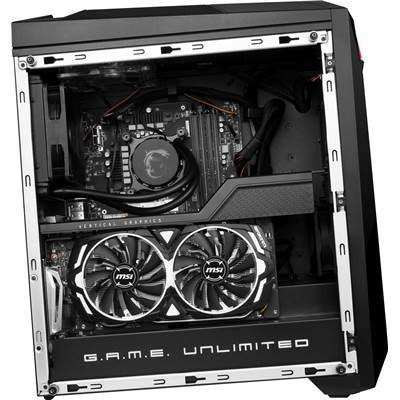 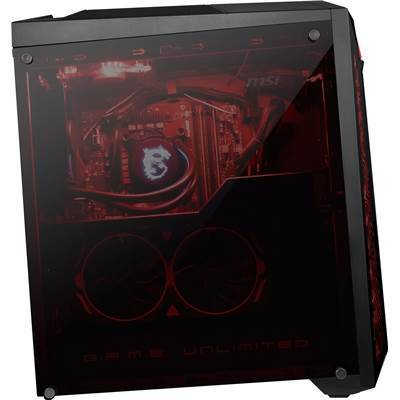 At the heart of this Gaming Desktop is a powerful unlocked Intel® Core™ K-series processor that can be overclocked without using complicated software or having to open the case. 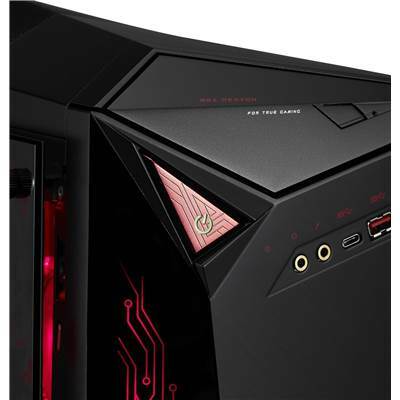 With a single button the Command Center Software, the hardware inside is amped up in speed and performance, making games and other demanding computing tasks run even smoother. 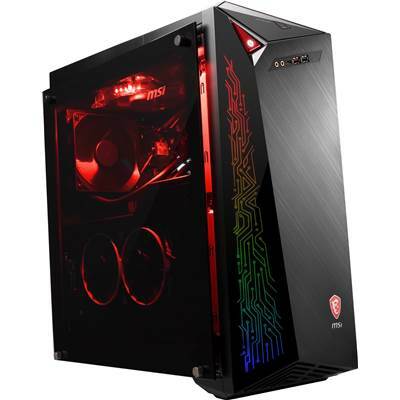 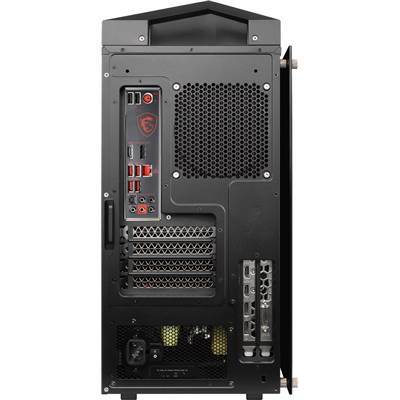 *The function may vary by model (only available on K series CPU models) and the overclock capability may differ depending on the CPU limitations.